Lara Croft and the Temple of Osiris is the sequel to the critically-acclaimed Lara Croft and the Guardian of Light, and the first-ever four-player co-op experience with Lara Croft. 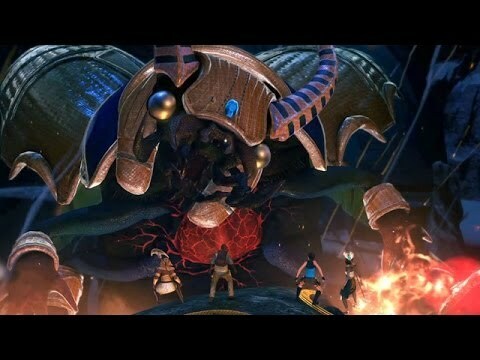 Featuring stunning visuals and a brand-new story, players must work together to explore the temple, defeat hordes of enemies from the Egyptian underworld, solve devious puzzles, and avoid deadly traps. All the while, players will compete for treasure, powerful artifacts, and ultimate bragging rights. Lara Croft and the Temple of Osiris takes place deep in the deserts of Egypt. In her new adventure, Lara must join forces with rival treasure hunter Carter Bell and imprisoned gods Horus and Isis, to defeat the evil god Set. As Lara and her companions fight the elements of nature across the sands and through ancient tombs, they will battle legendary deities and creatures of myth. With the fate of the world at stake, Lara must recover the fragments of Osiris to stop Set from enslaving all mankind. Lara Croft and the Temple of Osiris was released on PC, PS4 and Xbox One 1597d ago in the US and the UK.